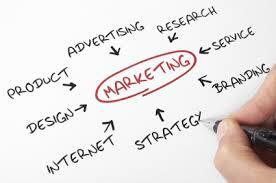 If you are running a small business, or thinking of starting up a small business, then you need an understanding of essential marketing principles. Marketing is about identifying the opportunity gaps in the marketplace. Quality market research enables you to identify whether customers have a particular need or expectation that is not being completely met by existing suppliers. It involves a careful assessment of your potential competition and identifying whether there is a way in which you might be able to differentiate yourself from them in order to compete effectively. Decisions about how best to communicate with your selected target market and how to most effectively promote, advertise and sell your product or service to your customers are key elements of any marketing plan. For those of you producing a product, the design of your packaging should be marketing related decisions. The design of your website and your brochures, the type of language used, and ensuring that the colours and the overall look will have appeal to your target market – all of these considerations will be important components of your marketing and branding. Running a focus group with a small sample of your customers, or asking them to complete a simple questionnaire can be a further way that your small business can learn more about their needs, interests and expectations. Marketing is about listening to your customer and being responsive to their feedback. You might think that your business sells a product or service, but the marketing perspective is that you are selling a solution to a customer problem. 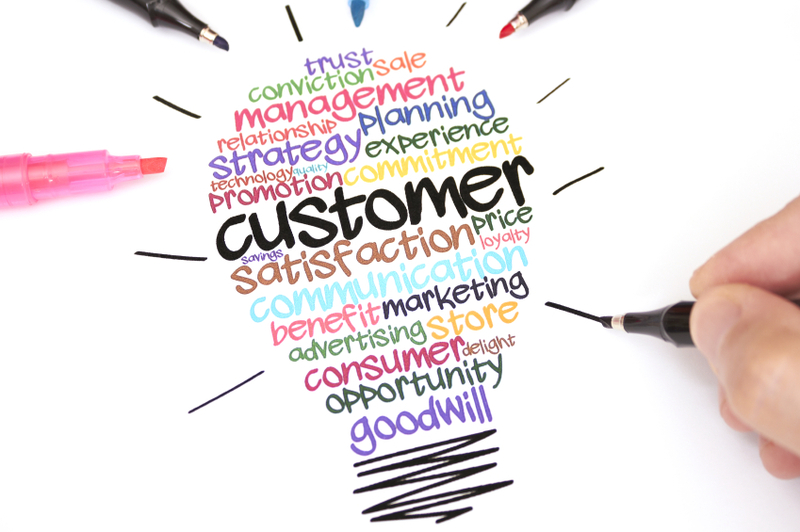 The more effective you can be at listening to your customer, then the more likely you will offer a solution that will work for them …….. and consequently they will not only return to you in the future but also will recommend you to other people. 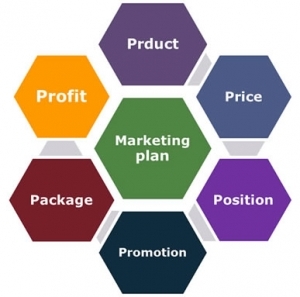 As mentioned earlier, a marketing plan will involve considerations around how you will advertise and promote your service or product to your customer. In a crowded marketplace where there is a lot of “noise”, you have to be able to grab the attention of your target market and engage with them. This means you’re not just selling the “steak” but the sizzle as well ! In a nutshell, the marketing function is to ensure that the customer and their needs are the focal point throughout your business ……. And the systems, procedures and any organisational structure you might subsequently develop to support the efficient delivery of your product or service, retains a customer focus to them as well. This is where sometimes larger businesses can become disconnected from their customers, because of the bureaucracy that is created. Your advantage as a small business is the close and intimate relationship that you can develop with your customers – and hence be quicker to respond when you recognise that their needs may be changing. Contact some non-competing small businesses serving customers in your market. Offer to publicize their products or services to your customers in exchange for their publicizing your services to their customers. This strategy has been shown to deliver improved sales for a relatively low cost. Marketing Tip 3. Convert your customers into sales people for your business. If you are wanting to get more useful tips on growing your small business, then take a look at our blog Small Business Australia. 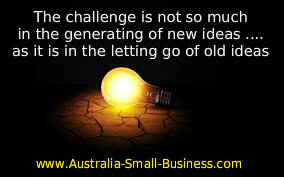 – heaps of interviews with successful small business owners who share proven marketing ideas.